2019 in the United Kingdom will leave some homeowners questioning whether or not to increase the value of their homes. This will more than likely be down to the current Brexit situation in the UK. The main worry for most homeowners is whether they would attract buyers if they choose to sell their homes during this tough time. However, even though we can’t predict the outcome of the Brexit deal. We can, however, take measures in which will most certainly maximize our property’s value. Most homeowners choose to move home when they don’t have enough living space. Furthermore, this could be the complete opposite. They have plenty of living room but want to add more value to their home. Having a orangery extension installed onto the back or the side of your home will surely add more living space. Find a good orangery installer to get the job done. St Helens Windows can help with bespoke designing your orangery to suit your home and taste. 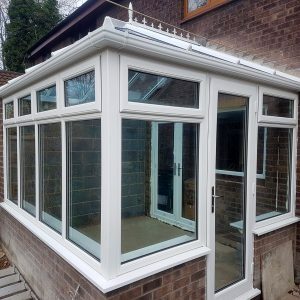 Furthermore, having a nice looking orangery installed onto your home could add an extra 6% in property value. Installing a conservatory on your home will provide extra space and improve property value. Conservatories make living space more enjoyable. Why not relax with your favorite book in your conservatory or view your beautiful garden. 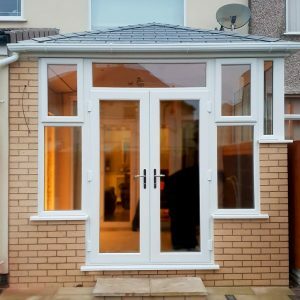 A conservatory can be used for many different things, games rooms, office, additional living room, dining room and much more. By adding a conservatory to your home you can increase the value up to 5% of your property. St Helens Windows can create a beautiful conservatory to match the style of your home and to your requirements. Another great way to add value to your home is by having your old windows replaced with brand new ones. 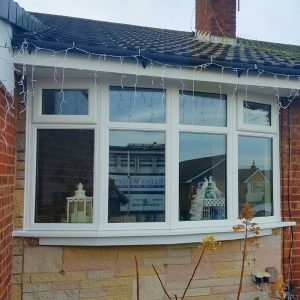 Installing brand new windows will help to make your home look more pleasing as well as improve thermal efficiency. Windows now come in a wide range of different styles such as bow, bay, casement and sash. Furthermore, homeowners now have the choice of double and triple glazing for improve noise reduction and heat loss. Pick your style, pick your color and improve the look of your home. St Helens Windows have been manufacturing and installing windows for over 25 years. Our team are at hand to help you choice the right windows for your home. Installing new windows to your home can have a good impact of the value of your property. Rejuvenate and improve the look of your home with a brand new door. Composite doors are becoming the most popular door choice for homeowners. They can come in a wide range of colours and styles to choice from. Composite doors are renowned for providing better energy efficiency and helping to make your home more secure. 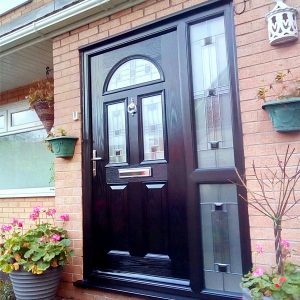 Furthermore, adding a composite door to the entrance of your home will also improve the look of your home for visitors and passers by. St Helens Windows can help you to create the perfect door for your home. We supply a wide range of composite doors in a wide array of styles and colours. Installing a composite door can have a positive impact on a potential home buyer.